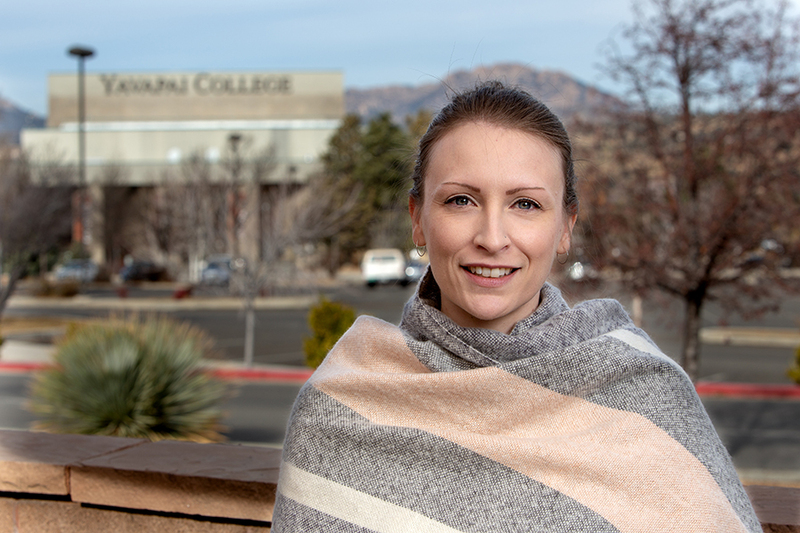 Ashley Hust recently celebrated her one-year anniversary working as Fund Development Officer for the Yavapai College Foundation, but that doesn’t mean she’s new to the Prescott community. She’s lived here for 12 years, and feels privileged to call this place home. It was love that drew Ashley to Prescott when she began dating her husband, Jonathan. In the ensuing years, Ashley managed to convince her parents to retire to the area and her sister and niece soon joined the rest of the family. Ashley has a B.A. in Communications, emphasis in Public Relations, from California State University, Fullerton, and worked in the publishing industry before coming to Arizona. She didn’t have work lined up when she arrived, but soon got her foot in the door with a part-time job at one of the other colleges in town: Prescott College. Prescott College was home for more than 10 years. There, she worked in general public relations and marketing before shifting her focus to fundraising. She finished her time there as Director for Advancement Communication and Major Gifts, earning an M.A. in Advertising and Graphic Design along the way. Fundraising felt like a natural extension of her marketing experience, and she found that it was not at all the intimidating or unpleasant thing most would imagine. For more details about the Yavapai College Foundation, go to www.yc.edu/ycf.